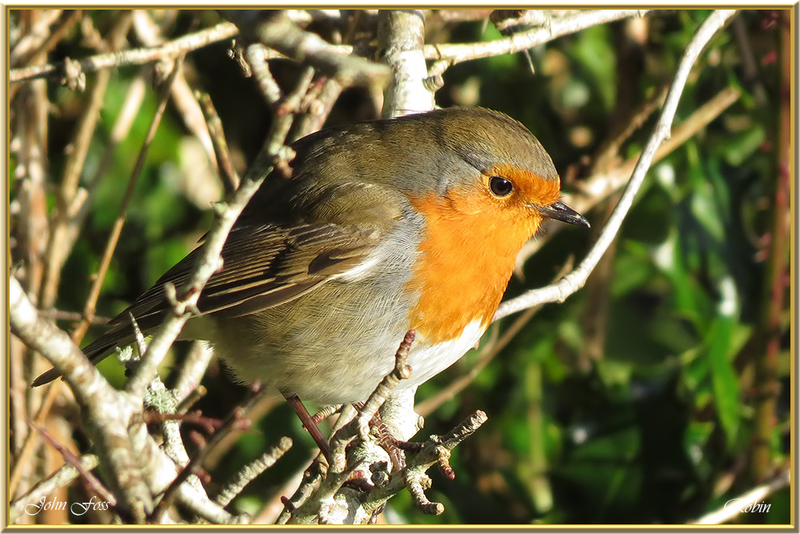 Robin - Needs no introduction. 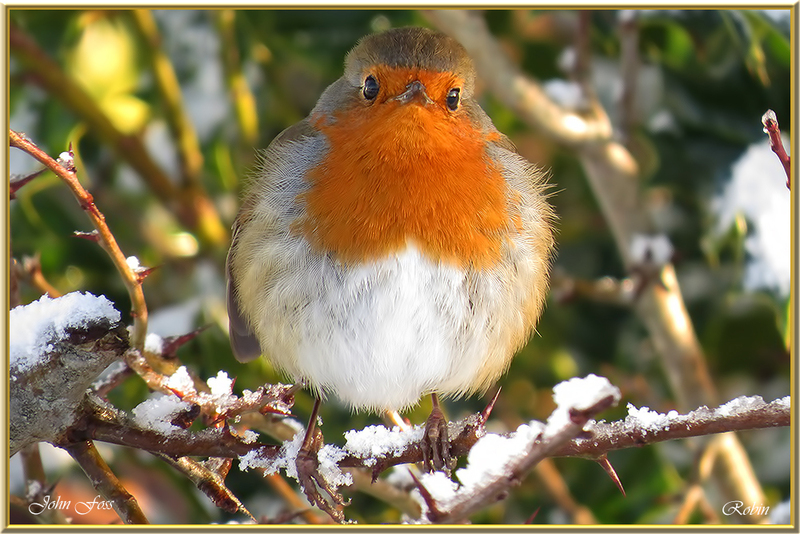 One of the peoples favourite. 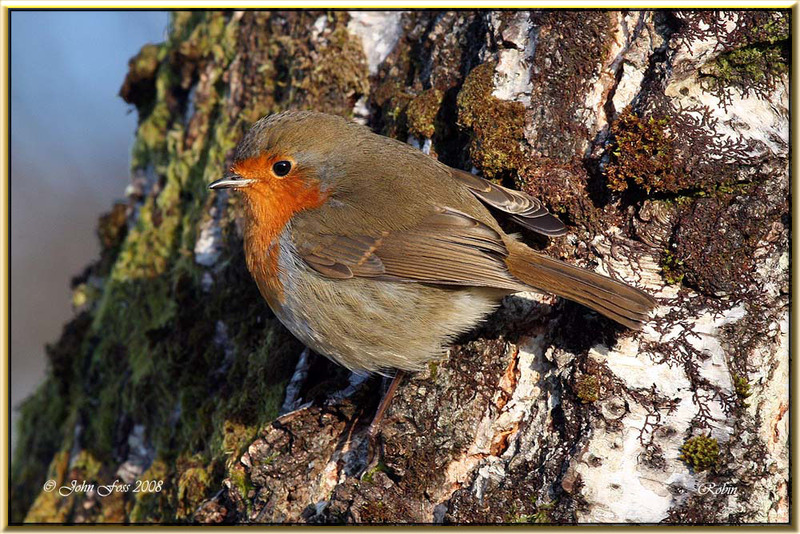 Unmistakable, although the young take a while to develop the red breast. 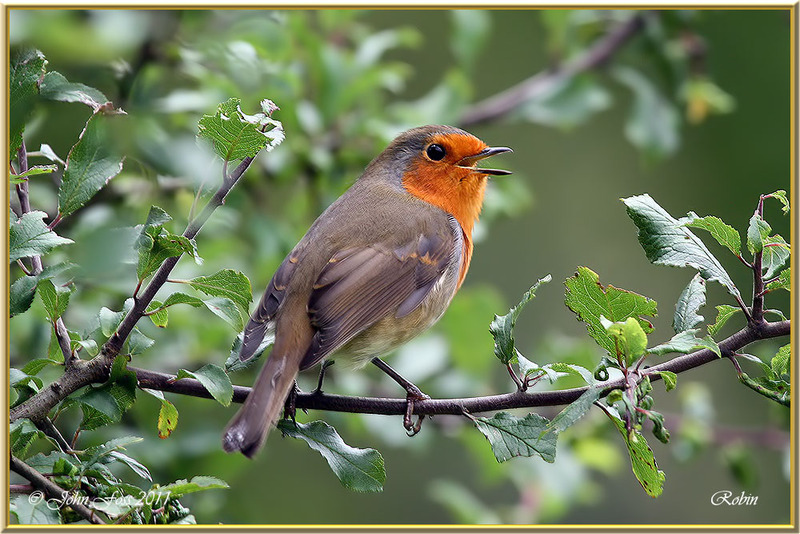 Male and female are of a similar colouration. 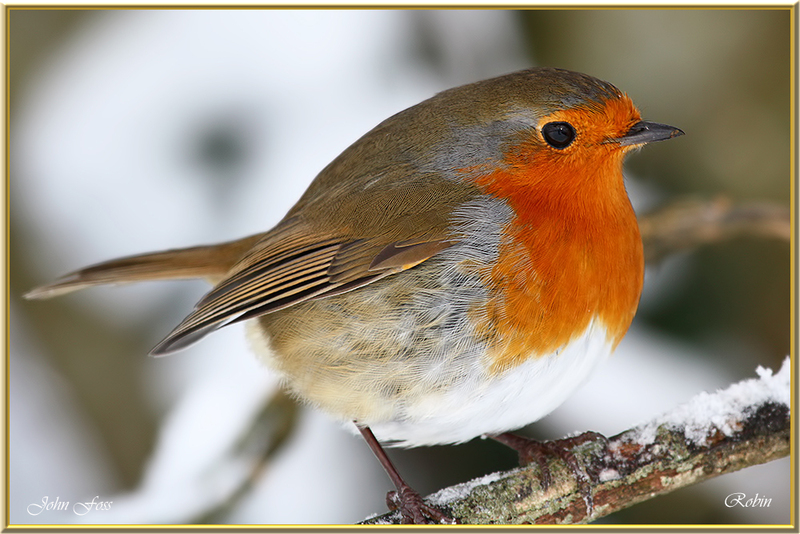 The robin is considered by some to be Britain’s favourite bird. 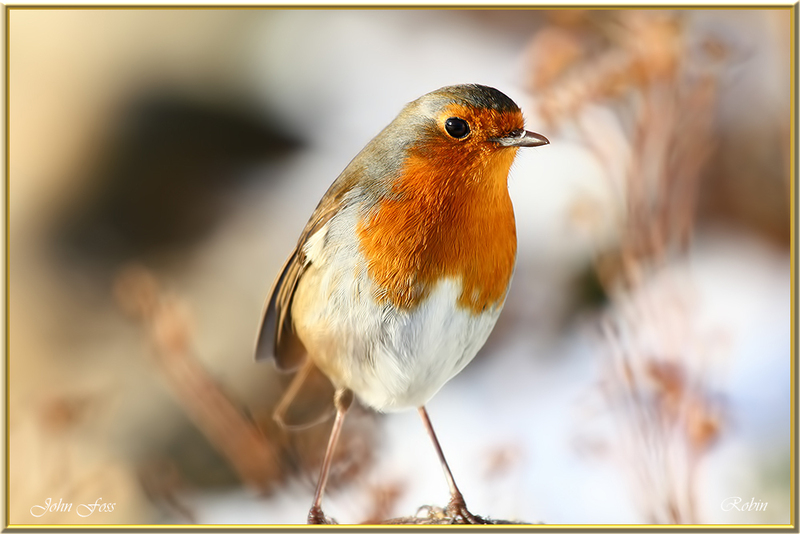 It is heavily associated to Christmas time when images of the little bird adorn cards and gifts. 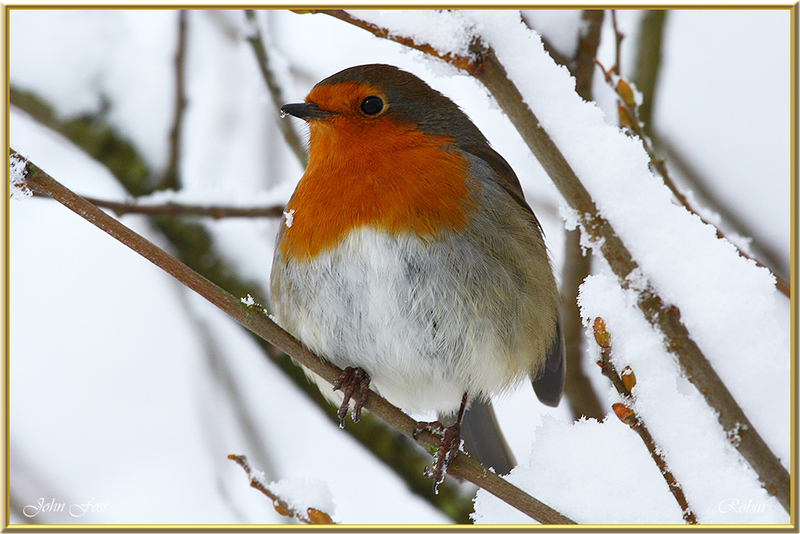 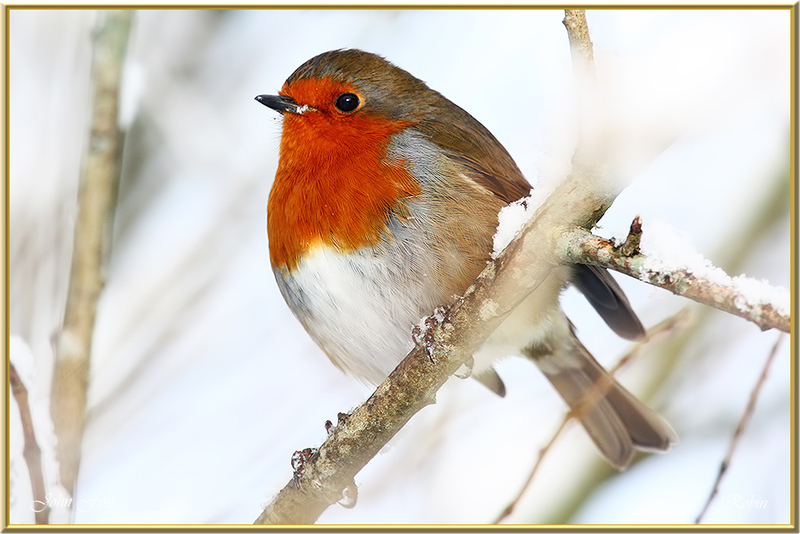 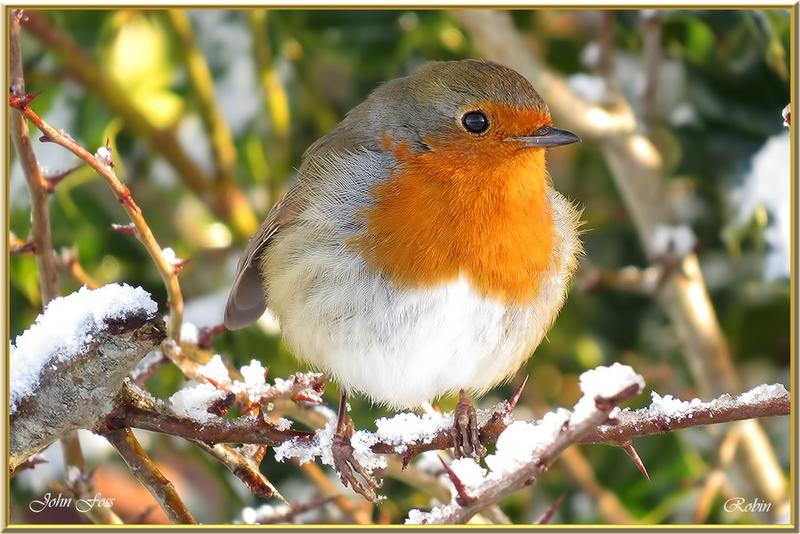 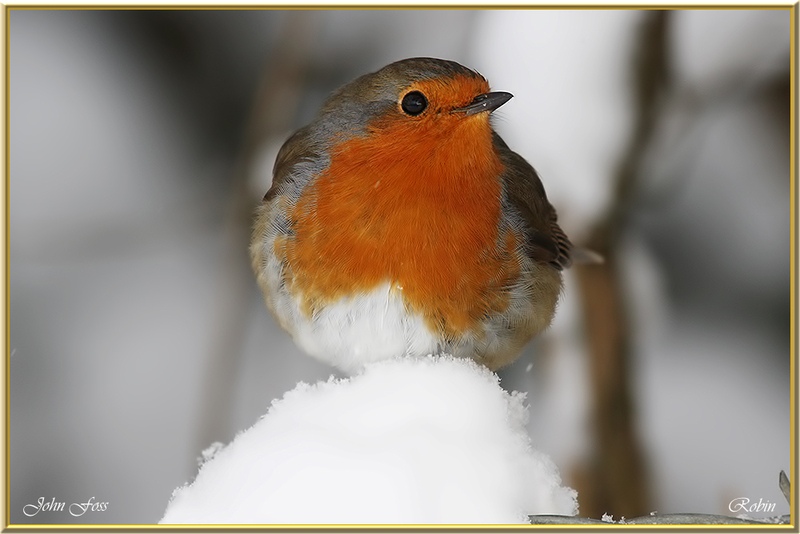 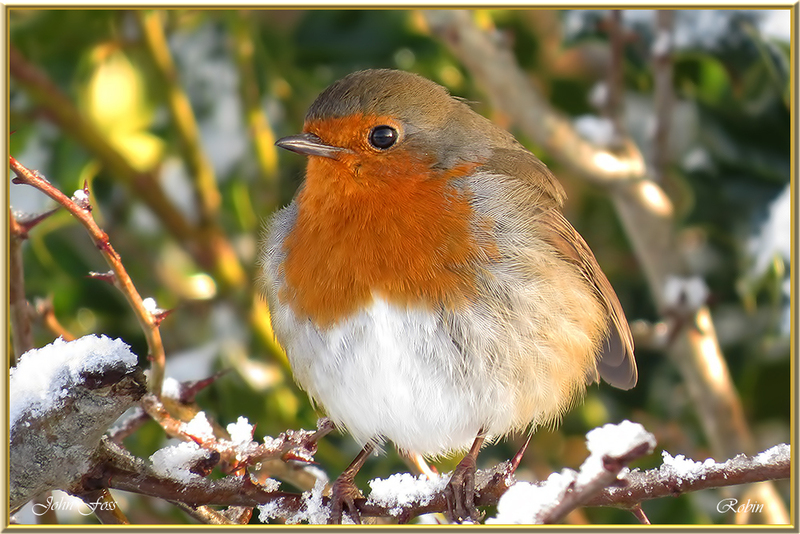 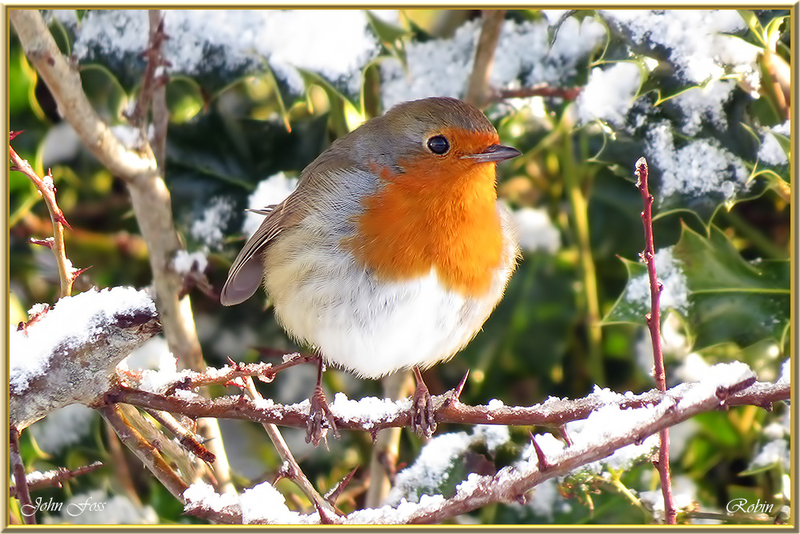 This Christmas connection is said to derive from the early 1800's when British postmen wore bright red uniforms and so the Victorian postmen were nicknamed Robins. 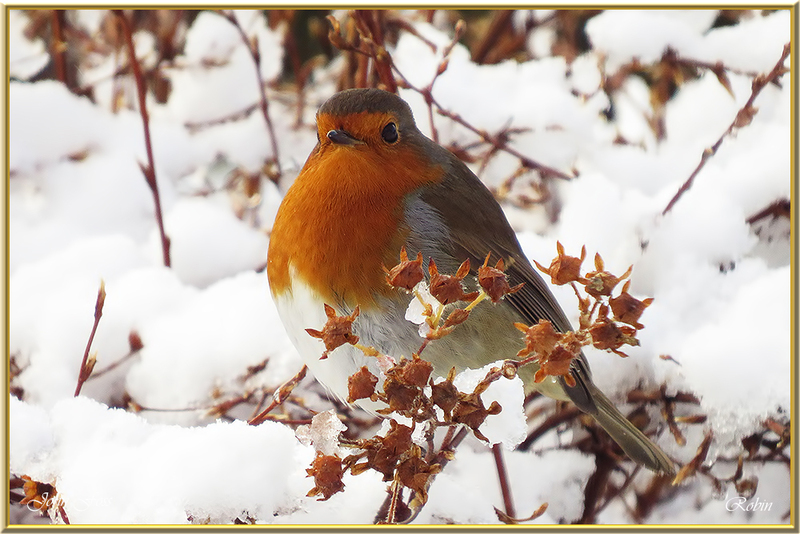 Folk eagerly awaited the Robins delivering their Christmas cards. 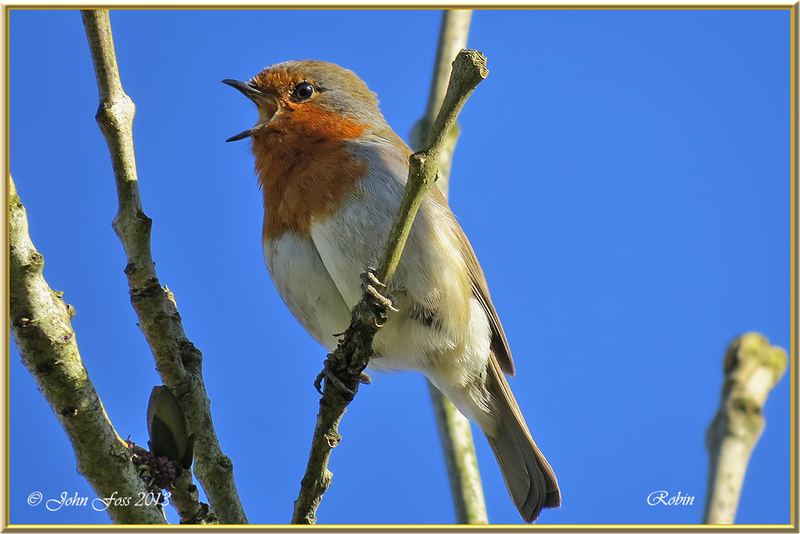 The rest is history so to speak! 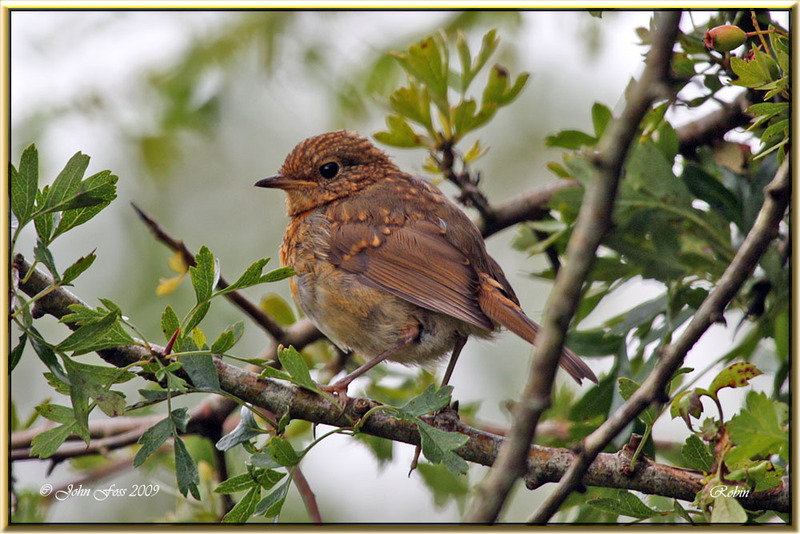 These photographs are from the Counties of Derbyshire, Leitrim, Cavan and Sligo. 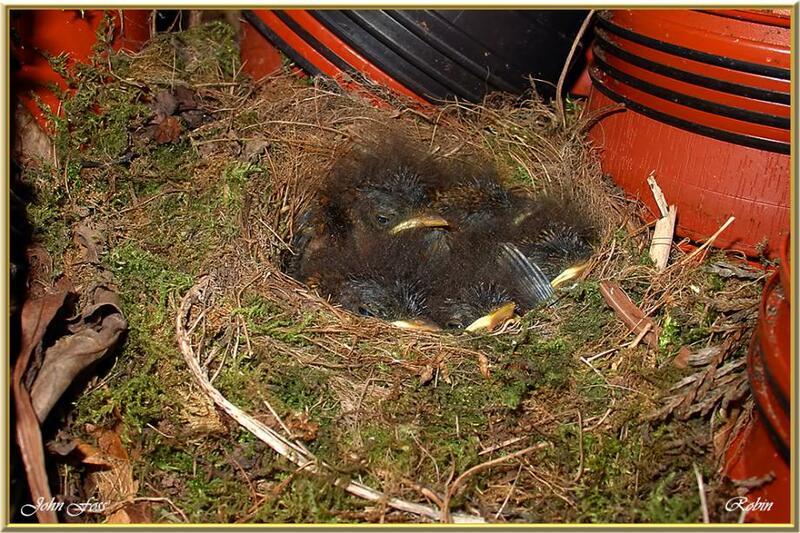 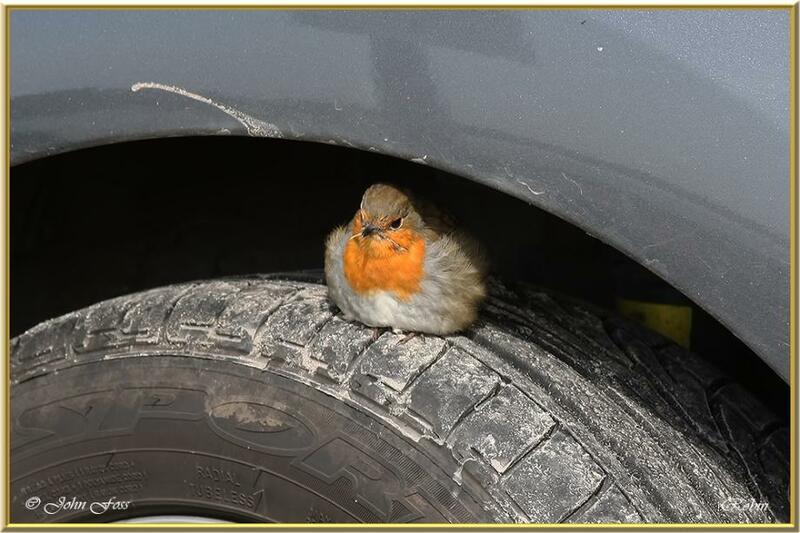 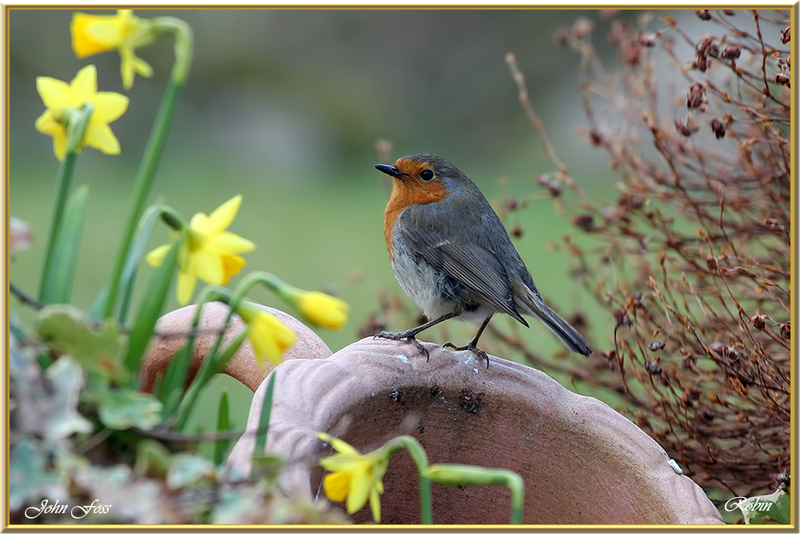 ▼ Robins in the potting shed! 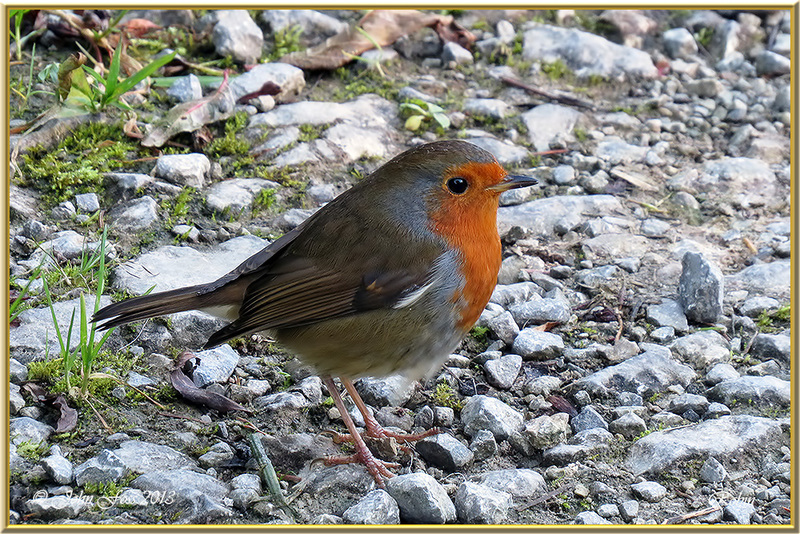 ▼ Robin feeding from my hand!